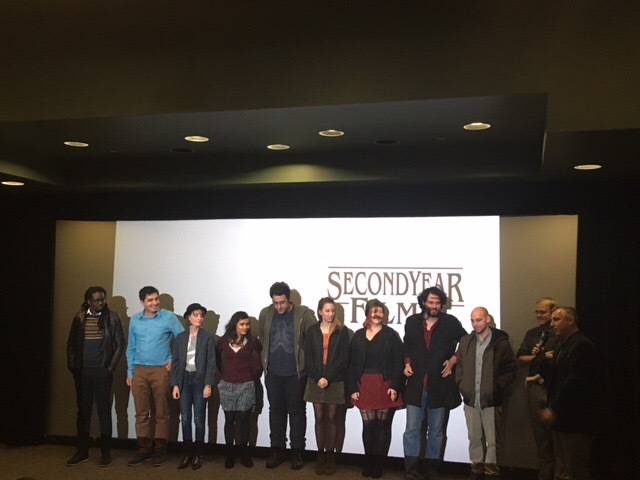 On Saturday, second-year M.F.A students of the graduate film program showcased their short films to a packed audience at the Athena Cinema. A variety of genres were screened, including comedy, tragedy and experimental narratives. Members of the audience let out gasps and laughter, empathizing with the characters that were crafted by the student film-makers. Hosted by Rafal Sokolowski, an award-winning film director and assistant film professor, the event was a time for film students to unveil their craft to the public. Eleven films were played during the two and half hour event. “If anyone is fading we’ve provided espresso shots under each seat,” Sokolowski jokingly announced. Yet for a time when attention spans are shorter than ever, almost all of the audience members stayed the entire way through. Afterwards, audience members were given the chance to talk to some of the film-makers. “It is kind of surreal. I have seen it so many times at this point, between making it and all the editing. I look at it now and it doesn’t even look like something I made,” director of “Three Thieves Sat Beneath the Pines,” Dylan Dyer said. Yang Miller, an actor in three out of the eleven films, spoke about the night. But that control of the final outcome is something that can drive a director crazy. In many cases, being a creator means constantly questioning and doubting your work. Letting go of some of that control was an issue that Daniel Aguera, director of “Playing and Withering” faced. November 11, 2016 in Arts, Entertainment, Film, News and Culture, school. Want to learn how to make money selling drugs?